Regarding the request of our customer/end user, PLN, to change the BCU Display symbol with their own standard, then we start build a new symbol, line, and necessary graphic to adopt their standard symbol. However, the BCU Display of SIPROTEC only display monochrome LCD graphic, but PLN Standard symbol using color as the indication of voltage, this is the disadvantages of using SIPROTEC BCU. Even with monochrome graphic, but the customer satisfied enough with the current display now. This document will describe how to use the update library file into your DIGSI software and describe how to implement the graphic with a lot of templates without creating from beginning. Before start extracting the file, please ensure that DIGSI software is closed in order to avoid conflict in updating the files. Extract whole contents of Dispedit.rar into Dispedit folder of DIGSI installation. Just drag and drop the files, if it’s asking abut replacing the files, choose yes to all. Please wait a moment during extracting and updating the files. After the process is completed then open your DIGSI software, and let see the difference now. Open your BCU file or any relay with BCU display option then open the Default Display or Control Display of the device under setting group. Now, we can see that the library file is updated with a lot of new graphical symbol and also new graphical control symbol. Click on User Defined Symbol on the left toolbar of DIGSI Display Editor, and then you’ll see there are three new symbols of CB, DS and ES using the model of PLN standard symbol. To use this control symbol, jus click on it and place it into BCU LCD drawing area. In the Template folder, there’s a lot of folder of previous project (GIS substation and AIS substation sinlge line template), open it to have a look. To open the template of CB, DS and ES with PLN standard symbol, please open Paket 13 folder. The CB and DS shape is designed with border to identify current position under cursor controlling screen. If there’s no border, the cursor display will display only blank Black Square shape during CB controlling. You may share this document under Creative Commons License – Terima kasih telah membaca tulisan ini. © 2011 Ari Sulistiono, Indonesian Electrical Engineer. 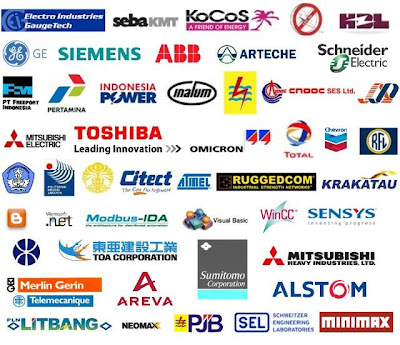 Artikel berjudul "Siemens BCU Display with new Symbol & PLN Standard Symbol", URL artikel: http://www.arisulistiono.com/2013/04/siemens-bcu-display-with-new-symbol-pln.html diposting pada tgl. 15 April 2013 , 22.28 di dalam folder file Protection Relays,Substation Automation. Anda bisa menyimak semua tanggapan pada artikel ini melalui RSS 2.0 feed. Atau cukup kirim tanggapan. Klik disini untuk mengirim Artikel ke LintasBerita.Com. | Tulisan/postingan diatas dapat anda salin, cetak, modifikasi dan distribusikan secara bebas, asalkan tetap mencantumkan nama penulis serta URL lengkap artikel.